Justia Lawyer Directory Hawaii Honolulu County Honolulu James J. Bickerton Esq. 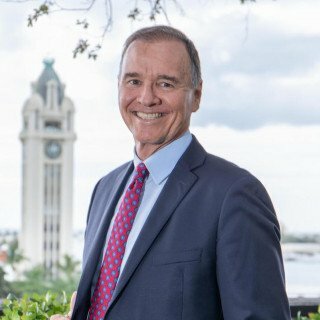 Jim Bickerton has been practicing law in Hawaii for more than 36 years and is widely regarded as one of the best trial attorneys in Honolulu. Jim currently represents a wide range of both plaintiff and defendant clients in commercial and real estate litigation, consumer class actions, professional liability of attorneys, accountants and real estate brokers, medical malpractice, serious personal injury and wrongful death, and First Amendment and defamation issues. In addition to his trial practice, Jim is a past Director of the Hawaii State Bar Association, past Governor of the Consumer Lawyers of Hawaii, a member of the Hawaii Chief Justice’s Committee on the Adoption of the ABA Model Rules of Professional Conduct, chaired the Hawaii State Bar Association’s Special Committee on Appellate Issues, and served as Vice Chair of the Judicial Selection Commission 2014-2015. Jim is also well-known in the community for his extensive pro bono representation on behalf of many of the most significant environmental, free speech, and community causes over the past two decades, including Save Sunset Beach, Kaimana Beach Coalition, Save the Star-Bulletin and others. Jim has been recognized by the Hawaii Supreme Court for his pro bono work in the Native Hawaiian Legal Corporation. Email James J. Bickerton Esq. Notice: Please do not include any confidential or sensitive information in this form. This form sends information by non-encrypted e-mail which is not secure. Submitting this form does not create an attorney-client relationship.